Imagine having the opportunity to play golf every day of your life. For some, that might sound like a dream setting. For a group of Montverde Academy students who live in Howey-in-the-Hills, it’s reality at the Gary Gilchrist Golf Academy. This reality, however, is by no means some veritable vacation for these talented teens, many of whom made huge sacrifices in leaving their families from all over the world to come here to train and play golf full-time on a daily basis while concurrently getting a world-class college prep education at nearby Montverde. The Gilchrist Academy, now in its third year based at Mission Inn Resort, is the leading full-time junior golf academy in the world, featuring more than 50 students from 20 countries – all under the watchful eye of renowned golf coach Gary Gilchrist, who has trained hundreds of the best junior golfers in the world and several professionals like current LPGA superstar Yani Tseng. Since partnering with Montverde two years ago, Gilchrist’s golden touch continues to shine at his namesake academy with GGGA’s lone senior, Tim Gornik, graduating with honors in 2009 and now playing for Duke University. Meanwhile, Patrick Winther, a two-time AJGA major championship winner and part of this year’s graduating class, is heading to college golf powerhouse Oklahoma State University. The Gilchrist Academy’s success isn’t limited to just a few players. Case in point: 21 different GGGA players won 29 national or international tournaments this school year, and 22 of the players made Montverde’s Honor Roll. For those not familiar with GGGA, the steps they take to succeed on and off the golf course require an immense amount of dedication, hard work and responsibility. For instance, after taking five mostly core academic classes and finishing lunch at Montverde, the Gilchrist students trade in their books for balls and prepare for golf practice at GGGA’s private practice facility at from 2-5 p.m. every day, or one of Mission Inn’s two courses when they have tournament preparation days. Once golf practice ends, there’s no time for the weary because GGGA golfers then shuffle off to renowned trainer Pat Etcheberry’s workout tent for daily fitness training from 5:30-7 p.m. Finally, after being on the go from 6:30 a.m. till 7 p.m. each day, the Gilchrist golfers get to rest with a privately cooked nutritious meal at the academy “food house.” The respite doesn’t last long, though, because soon after the rigorous academic load comes calling with several hours of homework, including a minimum two nights of study hall. As Gilchrist puts it, his highly personal academy environment is all about building the “ultimate student-athlete.” And GGGA’s compelling combination of world-class golf instruction, fitness training, mental coaching with acclaimed behavioral scientist Dr. Bill Meyer and academic excellence is what distinguishes GGGA from any other golf academy in the world. 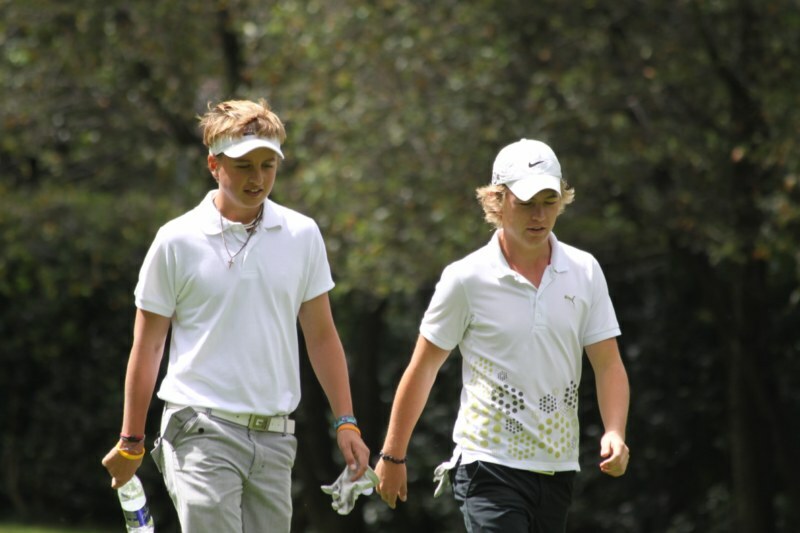 Basically, the mission of the Gary Gilchrist Golf Academy is to foster a fun, holistic and nurturing environment where student-athletes can train and develop into future champions – both in golf and in life.